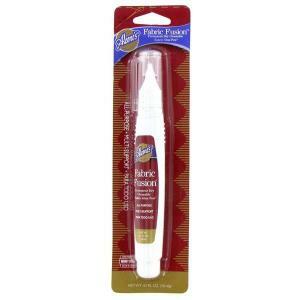 This Aleene's Fabric Fusion Glue Pen has a small tip for easy application, especially on small areas. It is a permanent fabric adhesive that is washable, non-toxic and dries crystal clear. There is approximately .63 fluid ounces of glue per pen.